Every maker has a story. 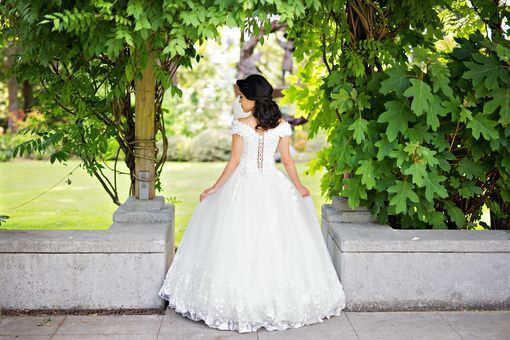 Be a part of Dream Dresses By P.M.N's story by placing an order, leaving a review, and seeing your review appear here. 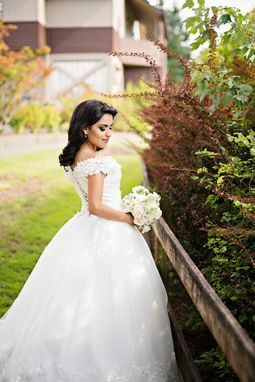 Beautiful lace ball gown with off shoulder that will make an elegant statement on your wedding day! 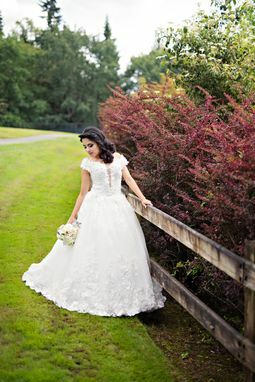 + Lace ball gown with V cut out neckline , off shoulder, and 3D flowers and lace appliques. +Beautiful big lace pattern hem treatments. + Lace up back shapes a flattering figure and ensures the perfect fit. +Lace up and zipper for back closure. +Fully lined. Dry clean only. Domestic shipping within U.S.A included insurance.